Scott has been repairing musical instruments for nearly 40 years. 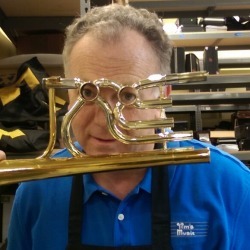 He is considered an expert in Woodwind and Brasswind repair and restoration. He will exceed you expectations with your instruments needs using the highest quality materials and techniques. Give us a call to set an appointment with Scott to consult on your instrument needs.